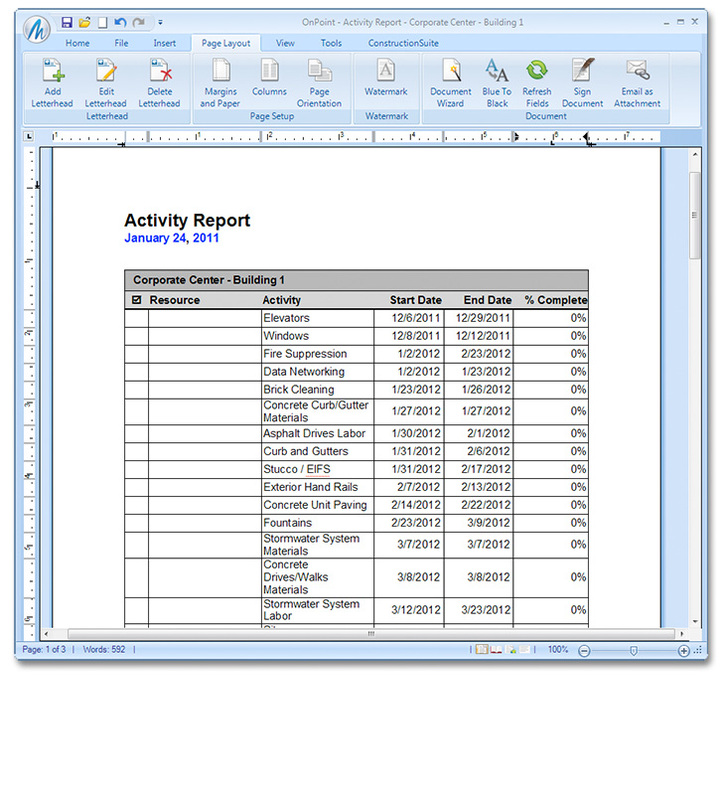 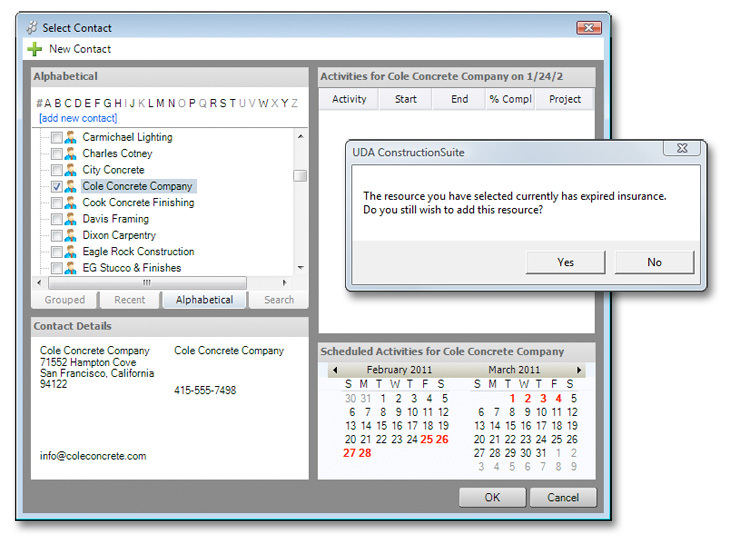 Generate resource-based reports from UDA Construction Estimating software or Scheduling for a complete record of that contact's responsibilities. 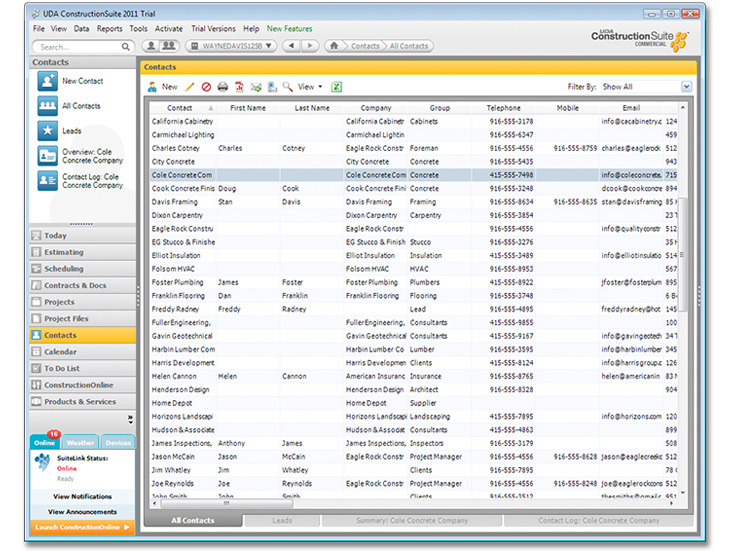 Track and manage resources with UDA Resource Allocation, included in all ConstructionSuite CM Contractor, Catalyst, Developer, and Enterprise editions. 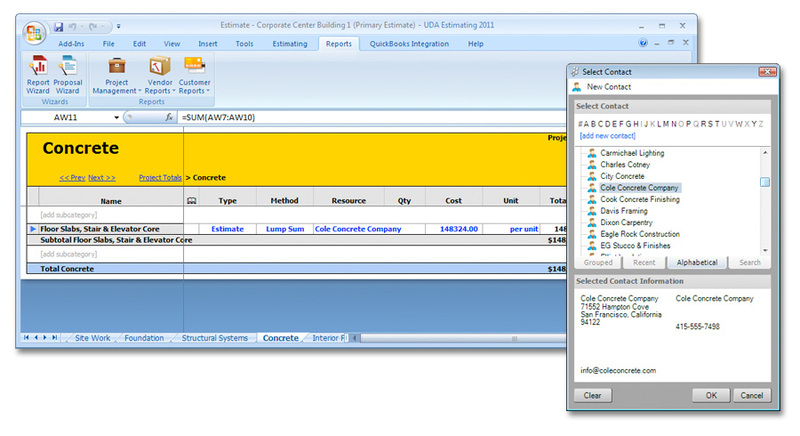 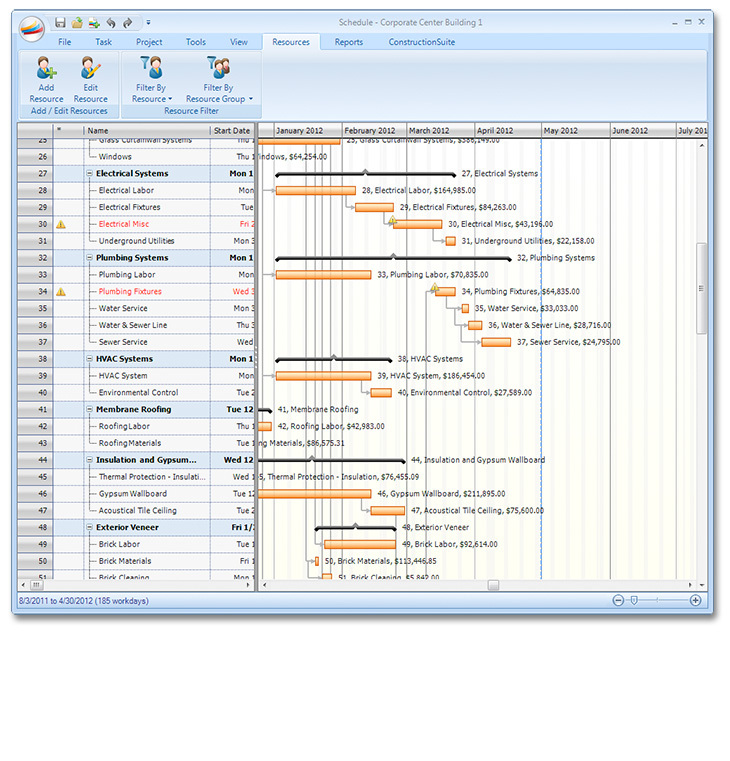 * Integrate Resource Allocation with the advanced Insurance Tracking system in ConstructionSuite CM Catalyst versions and above.